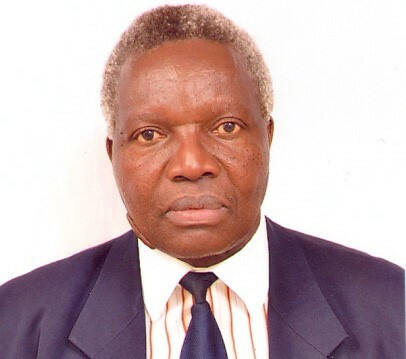 Moi University researcher Prof. Fabian Omoding Esamai has been appointed to lead University Research Chairs (URC) programme in Kenya. Prof Esamai, who is also the Principal of the College of Health Sciences, emerged the best in a competitive selection process conducted by the National Commission for Science, Technology and Innovation (NACOSTI). NACOSTI advertised for the position twice owing to a low number of quality applications received. In the second call for the expression of interest, the academic requirements for qualification was raised to that of a Professor and it is at this stage that Prof. Esamai submitted his proposal, which was one of the four selected for external review and possible funding. After the external review process, his application was declared the winner and was thereafter subjected to further revisions based on the review process. Moi University Vice Chancellor, Prof. Richard Mibey has assured NACOSTI and the URC programme that he will continue to provide the necessary support to the RC and research in general. URC is the latest research model that Kenya has adopted through the initiative of NACOSTI that seeks to promote top-quality research and research uptake, improve post-graduate training and enhance collaboration between universities and other research stakeholders. The programme, which has already received a grant of $1 million from the Canada’s International Development Research Centre (IDRC), will be piloted in the health systems and agricultural biotechnology research fields. RC is a privileged appointment that is an acknowledgement that one is a leader in their research field. “The RC role is a national position and as the chair I will lead research on maternal and child health”, explained Prof. Esamai. He will be working closely with other universities, Ministry of Health, County Governments, policy makers and health care managers in his five year tenure. The RC is keen on sourcing for research grants and mentoring upcoming researchers. The URC model will challenge researchers to shift from mere generation of knowledge through research to actively participating in converting their research into products and services for socio-economic development. According to Prof. Esamai, who has more than 70 publications in peer review journals and many other related publications under his name, low research uptake in the country is attributed to the disconnect between researchers and the policy makers. He urged the policy makers to establish close links with researchers to assist them in creating policies that are research and evidence based. 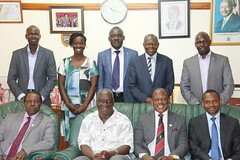 In line with the “multi-disciplinary approach” to research that URC programme seeks to promote in the country, the RC confirmed that he has already formed a team spanning various strategic areas of health care including reproductive health, Paediatrics, behavioral science, disaster and risk management, epidemiology and biostatistics. This multidisciplinary approach enable a wholistic approach to research and health care provision. The team will work on the maternal and child health systems research with a view of reducing maternal and child mortality in Kenya in line with the Sustainable development goals (SDGs) and vision 2030. The URC programme will be undertaken in Uasin-Gishu, Trans-Nzoia , Bungoma, Kakamega ,Elgeyo-Marakwet and Busia counties. To find out more about URC in Kenya, visit NACOSTI website http://www.nacosti.go.ke and about Prof. Esamai, visit the Moi University website, https://mu.ac.ke/.